Launched this week by the Global Network for Neglected Tropical Diseases, the END7 campaign featuring Bill Nighy is dedicated to eliminating seven major neglected tropical diseases (NTDs) as a public health threat to poor communities by the end of 2020. “I’m shocked by how much devastation these diseases cause. But what shocks me more is how simple the solution is. 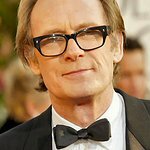 Pocket change to provide medicine that can help end not just one disease, but seven,” said actor and campaign sponsor Bill Nighy, who lends his voice to the campaign’s creative animated video. NTDs infect one in six people worldwide, including 500 million children, and carry a higher health burden than malaria and tuberculosis. The effects of these diseases are devastating. NTDs cause blindness, massive swelling in appendages and limbs, severe malnutrition and anemia. They are a leading cause of pregnancy complications among women and are a key source of poverty by reducing school attendance among children and worker productivity for adults. Treatment for NTDs is one of the most cost-effective health programs available today. Pills to treat the seven leading NTDs are donated by pharmaceutical companies and many programs use existing infrastructure, such as schools and community centers, to administer the treatments. The END7 campaign raises the public awareness and funding required to cover the costs of distributing medicine and setting up treatment programs in impoverished communities. The annual cost works out to approximately 50 cents to treat and protect one person for a whole year against all seven diseases. END7 is a public/private partnership that seeks to catalyze grassroots support for NTD control efforts to encourage major political and philanthropic leaders to increase funding for this important global health issue. The U.S. and UK governments, as well as major pharmaceutical companies, have already made significant contributions. END7 works with global partners such as the World Health Organization and the Bill and Melinda Gates Foundation. The campaign will be managed through a Facebook hub developed by Wunderman UK to promote campaign videos, photographs, success stories and other content —including a real-time donation ticker. Wunderman’s animated video, ‘Our Mission in a Minute’, describes END7’s goals in an engaging way and is the current featured content on Facebook.